Modern, light and spacious, fully equipped ground floor apartment with two good sized bedrooms , large open plan lounge / dining room with patio doors leading onto a private terrace that has direct access to the pool and garden area. Secure private parking. 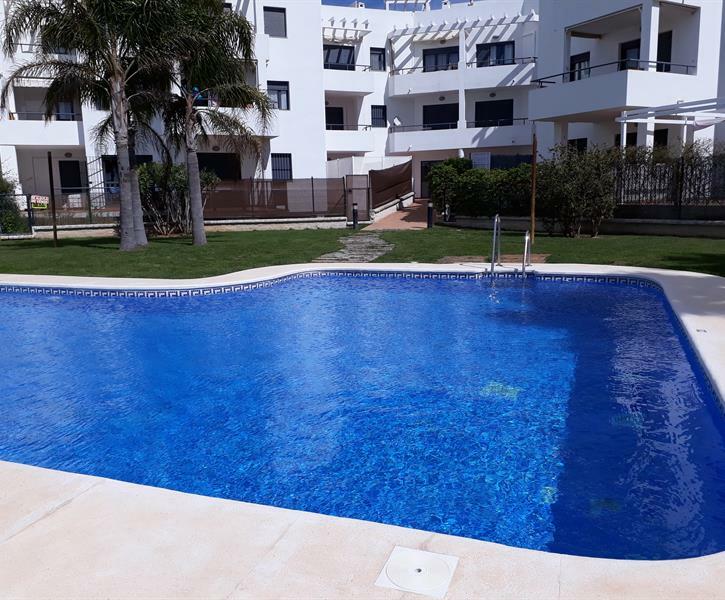 The apartment is in a very quiet part of Conil yet is within walking distance to beach and town centre. El apartamento perfecto. Tiene de todo y es tal y como se aprecia en las fotos. El más mínimo detalle bien cuidado. Excelente atención de Charlotte.